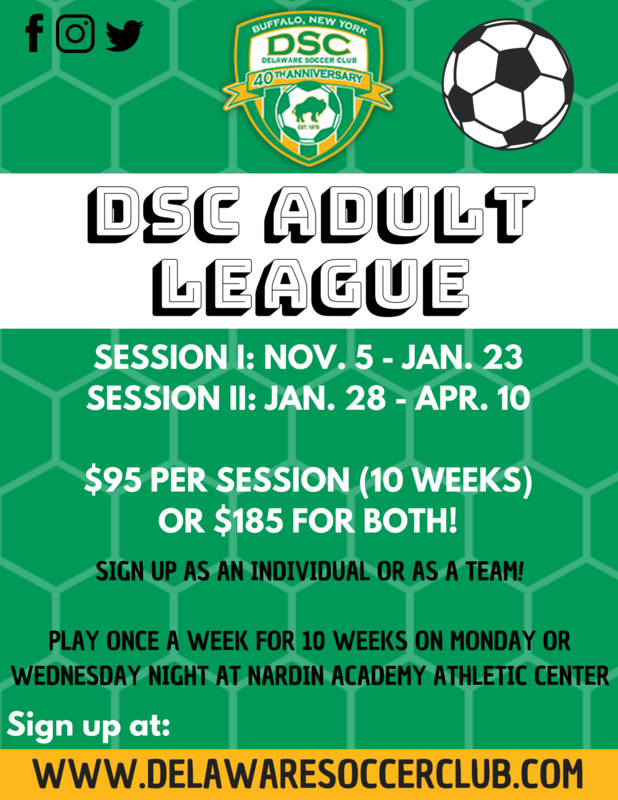 The Delaware Soccer Club Adult League is a great way for anyone who enjoys soccer to compete, meet others and have fun playing this great game during the cold Buffalo winter months! 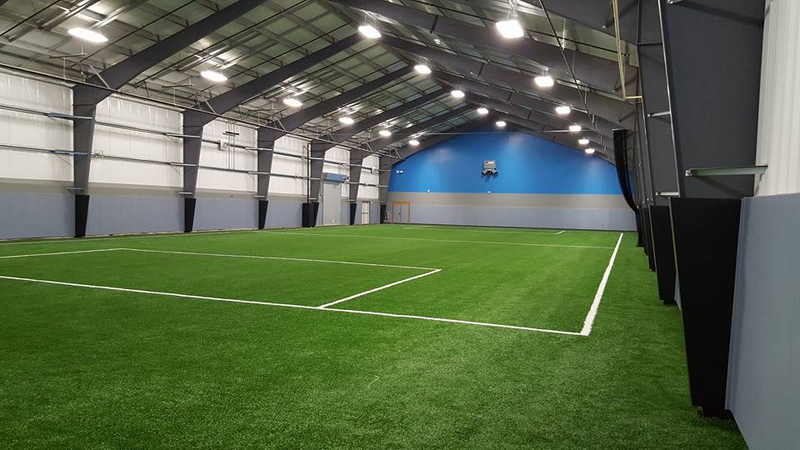 Enjoy 10 weeks of indoor soccer for just $95! The Session II Schedule is below! Note: The team listed first is GREEN. The team listed second is GOLD. The co-ed league is open to all players of any skill/ability born in 1998 or earlier. Players must register individually, but may include teammate requests to form your own group/team. All players will be placed on teams with every effort to create fair and competitive play. Games are played once-per-week, either Monday or Wednesday, at either 9:00 p.m. or 10:00 p.m. Sunday evening may be added if needed. All games are played within the Nardin Academy Indoor Athletics Complex on the corner of Hertel Avenue and Delaware Avenue, right behind Kohl's and K-Mart. The format is 5v5 or 6v6, including goalies, depending on registration/roster size. Game length is 2x25 minutes. We will not keep any standings for this league. There are no championships, prizes, trophies or contracts handed out at any time. Players are reminded the games are competitive, but there may be a wide range of abilities on the field at any one time. The utmost display of sportsmanship is expected at all times. No slide tackling. Stay on your feet!